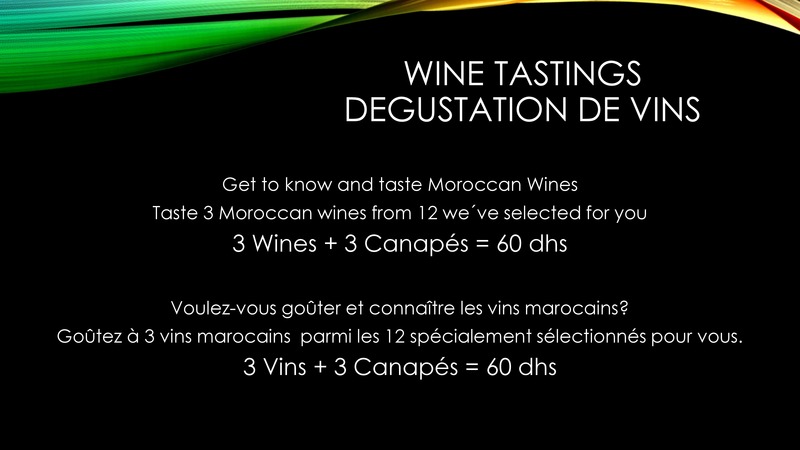 Among the countries of North Africa, Morocco is considered to have the best natural potential for producing quality wines, due to its high mountains and cooling influence of the Atlantic, as these factors offset the risk of having too hot vineyards. 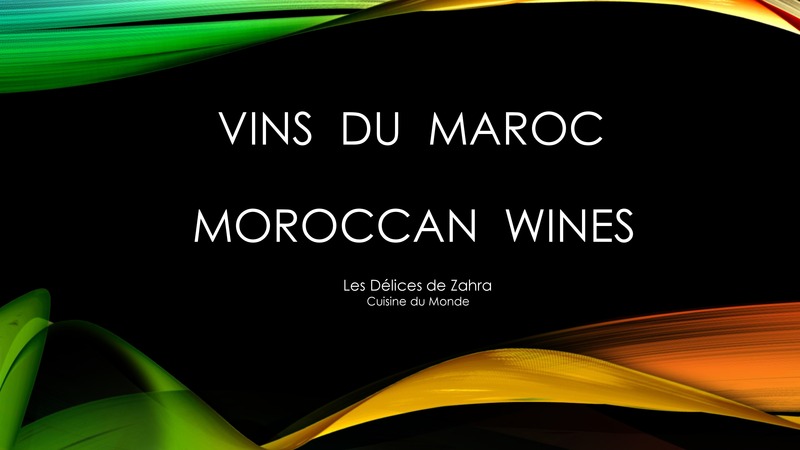 An important exporter of wine in the colonial era before 1956, the Morrocan wine industry is experiencing a revival and expansion since the 1990s due to influx of foreign investments. Viticulture in the region of today’s Morocco is believed to have been introduced by Phoenician settlers, and was definitely established in the era of Ancient Rome. Large-scale viticulture was introduced into Morocco by French colonists, just as it was to the neighboring country of Algeria. 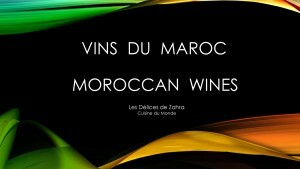 However, the quantities of Moroccan wine produced was never nearly as high as that of Algerian wine. At the time of the country’s independence in 1956, there was 55,000 hectares (140,000 acres). Red wine dominates greatly, with over 75 per cent of production. Rosé wines and vin gris account for almost 20 per cent, and white wine for only around 3 per cent as of 2005. The traditional red grapes planted in Morocco are Carignan (which once dominated), Cinsaut (almost 40 per cent in 2005), Alicante, and Grenache. Plantations of Cabernet Sauvignon, Merlot and Syrah have increased rapidly, and together make up around 15 per cent. Traditional white grape varieties include Clairette blanche and Muscat. There has also been smaller experimentation with Chardonnay, Chenin blanc and Sauvignon blanc, where there is a need to pick early in order to produce white wines with sufficient freshness. 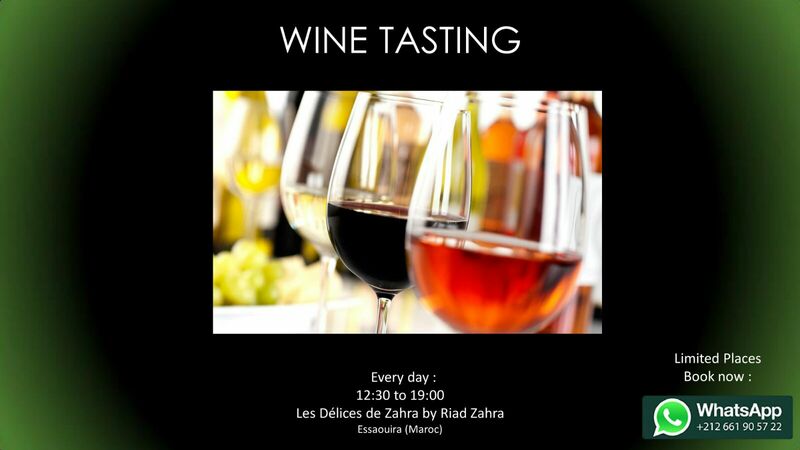 Wine Tastings everyday in Les Delices de Zahra’s Bar or by the pool !! !